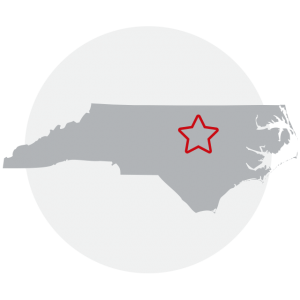 Marrins Moving has been helping people throughout the Triangle make their move even easier for more than 20 years. Now we’re bringing our winning service to Chapel Hill. Marrins does more to make sure you don’t have to. We know that your life is busy. The last thing you want to have to worry about when it’s time to move to your new home is dropping everything to pack up, load, transport, and unpack all of your things to your new home. With Marrins, you won’t ever have to worry the hard work when you move. That’s because our team of experts will take care of every step for you. All you have to do is sit back and relax while the Marrins Moving team does all the heavy lifting. With the help of our team at your side, you’ll be able to focus on the things that really matter. Our white glove moving services mean your next move will be exceptionally smooth as we take care to pack up your items with individual attention. We ensure that all boxes are loaded into our truck in an efficient, organized way that ensures the most protection. We treat every single item with care and consideration so that you don’t have to worry about them getting damaged in the move. In addition, we go out of our way to set up a system that helps to streamline the moving process for you, putting things in the proper destination in your new home to help speed along your move. When you choose Marrins, we bring several major benefits. The primary benefit is that you avoid having to do the labor-intensive work that’s usually associated in moving. From packing up to loading to transporting, we’ll take care of it all so that you don’t have to. With that extra time, you’ll be able to focus on the things that matter most to you without having to worry about the extra stresses that come as a part of moving. Marrins also adds the benefit of premium customer care. We take the time to learn your individual needs when we move for you so that we can do the best job possible, meeting all of your requirements along the way. We’re dedicated to bringing you complete satisfaction on your next move. Are you thinking about moving a little farther away? When you choose Marrins Moving, we provide options that give you the flexibility to move wherever you need to in the country. No matter if you need to move across the state or across the country, our long distance moving services mean that you can rely on our team to pack up and transport your things right the first time for moving anywhere. That means we’re your reliable partner wherever you need to move. Our goal is to give you back the time you need to focus on the important things in life without getting distracted by the stresses of moving. Our team is a perfect addition no matter if you’re moving from a small home to a large home, a large home to a small home, or anything in-between. Our hard work and dedication to providing good service mean that we’ll do everything we can to ensure that your move goes as smoothly as possible. Contact us today to find out more about our Marrins moving, and schedule your FREE on-site assessment!